The Indian literary scene has gone through several changes, from being virtually non-existent to high international visibility to what is threatening to become a deluge of surprisingly-similar books focussed around romance and historical re-tellings. 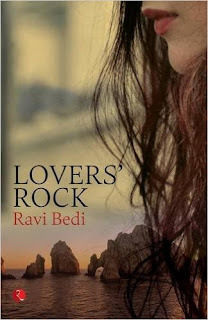 It is easy for a book to get lost in this deluge, and that is precisely what I hope Lovers’ Rock by Ravi Bedi does not become, for it is definitely different from its peers, not just in plotting but also in functioning in a genre that is not easy to slot. Lovers’ Rock is the story of Mani Shankar Varadharajan, a Flight Lieutenant with the Indian Air Force, and his wife, Grace Wilson, Anglo-Indian daughter of a Railway signalman. When the modest Mani marries the flamboyant Grace, it sets into motion a series of events that takes the reader on a journey from the Air Force base in Kalaikunda to the virgin beaches of Digha, to Mumbai and Goa. But it also takes us on a journey into the minds of the two protagonists, one a fundamentally good person drawn into evil, and the other a reckless, petty one who suffers its consequences. From the society of the Air Force Base to the seedy hotels of Kolkata, from the high-octane party scene in Goa to Mumbai’s art scene, Mr. Bedi depicts the vicissitudes in the lives of both his characters quite well. [Spoiler Alert] Both are flawed people, but perhaps what makes the difference in their lives is that while Mani finds good people to stand by him at his lowest point in the kindly Aunt Jane, her sweet-tempered daughter Tanya and the canny art promoter Pestonjee, Grace pushes aside the helping hand offered by the Gomez family and hitches her wagon to the rascally Mark Braganza. I spoke earlier about Lovers’ Rock being difficult to easily classify into genre. If I had to, I would say it is a form of revenge fiction in the mould of the better genre fic writers of the last century. This does mean that the characters in the story are driven by the plot, rather than the other way around. Mani and Grace are undoubtedly complex and realistic characters, both flawed in their own ways. By refraining from white-washing Mani and giving even Grace a moment or two of good sense, Mr. Bedi does make them believable. Yet, as a reader I felt their internal struggles and dilemmas could have been brought out more strongly and would have given the story a layer of depth. As it stands, Grace in particular, felt a little too predictable in her ways, though I wonder if this is a fair criticism, after all real people often have fewer dimensions to their character than what we expect from those in fiction. 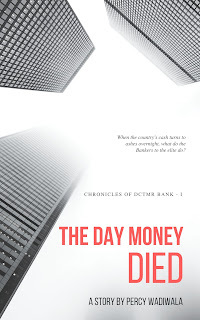 The other characters in the story like Mark, Pestonjee, Aunt Jane and Tanya, as well as minor characters like Fernandez the moneylender and Patel the real estate broker are definitely plot driven and adequate to their function within the story without coming across as being well-fleshed-out. 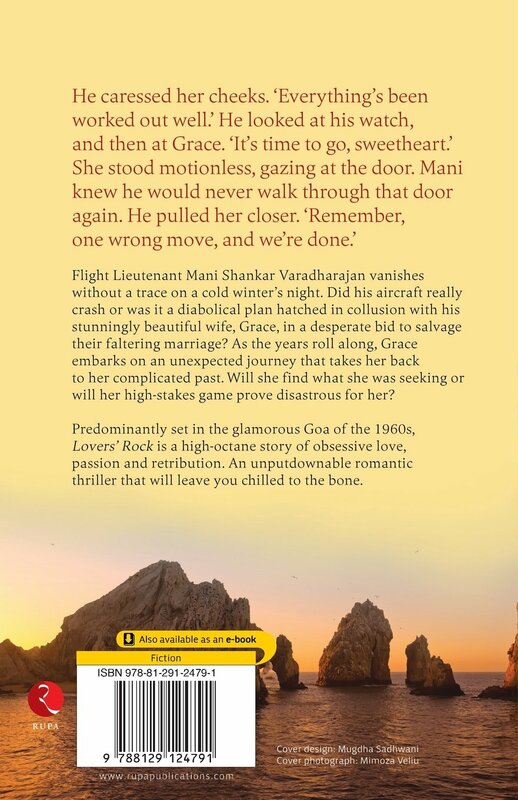 Of books I have had the opportunity to review lately, the cover of Lovers’ Rock stands out, bringing out just the right poignancy that the story deserves. The editing is good as well, and Mr. Bedi’s writing is smooth and after a slow start, the story picks up pace very well. Fairly fast-paced once it gets past the major plot point, Lovers’ Rock was an easy read, the language good without being obscure and simple without pandering. In some places there was ‘tell’ which was perhaps not necessary, and as I’ve said before, certain aspects like Grace’s motivations at various stages could have made for a more emotionally-layered story. Also, in some places the dialogue can be somewhat more formal than you would expect, which comes across as not quite natural. Yet, this is not a simple narrative, and by the ending it is apparent that this is not a mere revenge fantasy or faux-literary posturing, but a fully-realised plot written with an excellent understanding of its settings and subject. Lovers’ Rock takes the readers on a journey through the art scene of Mumbai, military society and Goa’s high-flying party scene, all the while painting an interesting story of passion and revenge. Though there is room to be even better, the book remains a definite page-turner, and the ending serves a form of poetic injustice that brings in just the right tinge of realism. This will be among my last Book Reviews. I have felt for a while that I need to take a break from it, and am inclined to make it a long one. There should be two more before that happens, though. Excellent review—the kind that should make all the difference to me as a writer. Thank you, Percy, for your time and valuable suggestions. You made my day. Thank you for your kind words, but it is more or less lost in the deluge! I’m glad you enjoyed the story. CHEERS!